One of the most frustrating things about Asian dramas is really rampant in this series and that is simply the inability for characters to communicate properly. Of course Gi Chul will not confess the real reason he tried to get rid of Hae Joo 15 years ago and of course Chang Hee won’t tell Hae Joo just why he’s ready to leave his father to be with her. And while I get what Hae Joo is talking about when she says having Chang Hee take care of her family would hurt her own pride, at the same time, she is also being unreasonable to a point. She is not willing to concede anything or even listen to him. Is it any wonder that their relationship is doomed for failure? I must say this. I don’t dislike this drama or the actors, but the adult Hae Joo…gets on my nerves more and more, and this is not solely because Han Ji Hye can’t act the role as well as Kim Yoo Jung could. It has more to do with how they really messed up Hae Joo’s personality. Sure her life growing up was harder than it should have been, but to have the spunky Hae Joo reduced to this actual ghost of her old self is quite frustrating and it does bother me quite a bit. Okay! NeeNee’s done griping. Now on to what happened in this episode. May Queen episode 13 starts off with San rushing to Chang Hee’s office and demanding that Chang Hee give Hae Joo up. Why? Because San just came from Hae Joo’s house where Gi Chul was dragging her by the hair and beating her. San berates Chang Hee. The other man who spent 15 years with Hae Joo should know just how much she has suffered already (San could pretty much get the gist of her suffering just from reading her resume alone), so how can Chang Hee be this impotent when it comes to protecting Hae Joo and saving her from her suffering? Chang Hee doesn’t answer to this. In fact, this just adds to what has already been dropped on him. Poor boy—he’s suffered a lot of blows. If you saw Jae Hee as the lead in Bin-Jip, then you know he’s great at acting without saying a word. You see this a lot in this episode as well. Instead of answering San, Chang Hee goes to walk away and when San stops him, Chang Hee says he’s ready to destroy anything in his path at the moment and for San to just leave him alone. San finds this ironic as he feels he should be the one hitting Chang Hee. He does give his friend a warning. Hae Joo reaches home and tries her best to hide from Dal Soon just how horribly the date ended. She quickly goes into her room and Dal Soon follows. She then notices Hae Joo’s red cheek and torn shirt. What exactly happened to her? Hae Joo looks down. Whoops. Guess she wasn’t aware that Gi Chul tore her shirt when he dragged her. Hae Joo quickly says it happened in the forest and Dal Soon thinks a minute and then grins. You know, there are cars and hotels for that. LOL. WOW. I can’t believe her mother said that, but I don’t think she’d have a problem if they got carried away since she knows Chang Hee has honorable intentions. Hae Joo quickly denies anything like that happened. Dal Soon then goes out and when she looks in on Hae Joo again, she begins to worry since she sees Hae Joo crying. Chang Hee gets home and is angry. He asks how his father could do such a thing to Hae Joo. Gi Chul sneers. So not only is that girl worthless, she quickly runs to Chang Hee to tattle. 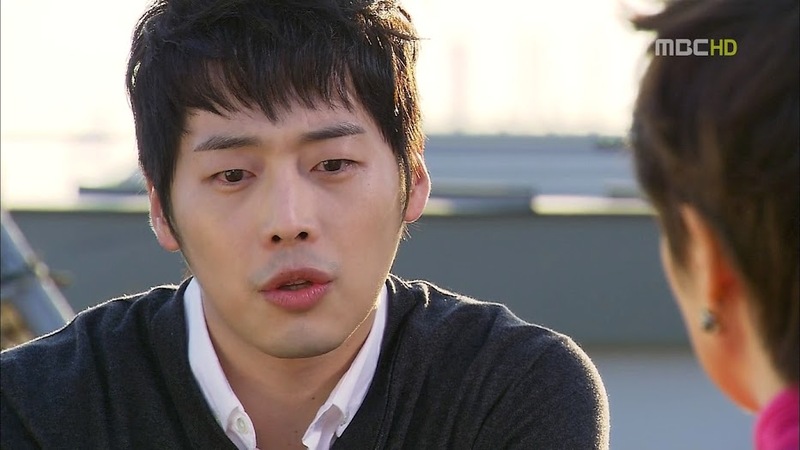 Gi Chul then admits he did such a thing to her and that he will do worse. He also tells Chang Hee that Hae Joo seems to have another man. Chang Hee snaps and throws down a stand. This startles his father. What is going on? Chang Hee throws down the newspaper clipping of the thug from Hae Nam and asks how Gi Chul could pretend to pay of the Chun family debt and then turn around and try to sell off the poor 13-year-old girl with a newborn baby sister whose father had just died? Gi Chul quickly lies and says it was all for Chang Hee’s sake (NOTE: I only say lies here because while it was for his and Chang Hee’s sake, it wasn’t because Chang Hee wasn’t studying properly, but because of what Gi Chul did when Hae Joo was a baby). Chang Hee is heartsick. How can all of Hae Joo’s sufferings be because of his father? He says that his dad is unhinged and packs a bag and leaves the house. Sigh. How long will this resolve last? So Chang Hee rushes off to meet with Hae Joo. 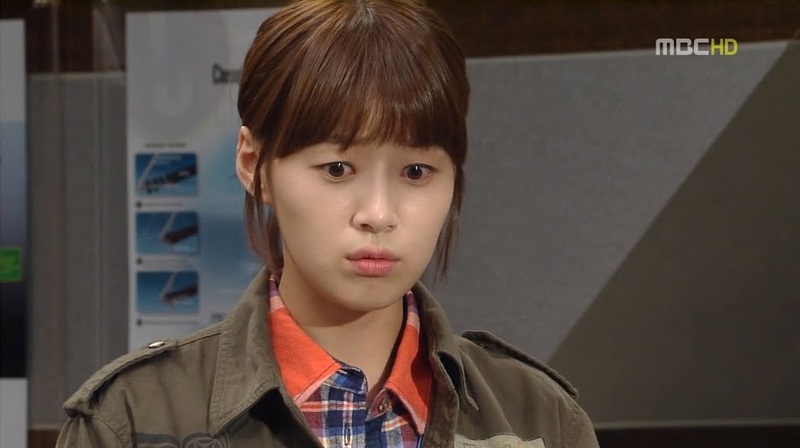 Since Dal Soon knows something is up, she immediately sends Young Joo out to spy on the young couple. Chang Hee is livid because he heard what happened from San and immediately tells Hae Joo that it isn’t right for his father to do such things to her even if he’s unhappy about their seeing each other. Young Joo is shocked to learn that Hae Joo is being bullied by Gi Chul and quickly goes back to report to Dal Soon who is not happy at all to hear her precious eldest daughter has had her hair pulled and has been beaten. Sang Tae says this is understandable as Dal Soon wouldn’t sit still either if someone like Hae Joo came up to him and he was a prosecutor. Way to be supportive. Back to our couple. So yeah, Chang Hee says his father is crazy and he has left home. Unfortunately, Hae Joo is big on family to the point of stupidity. I’m only saying this as there are times having a strong family tie is good, but Hae Joo goes to the extreme and doesn’t even try to understand just why Chang Hee would leave as family is the most important thing to her. 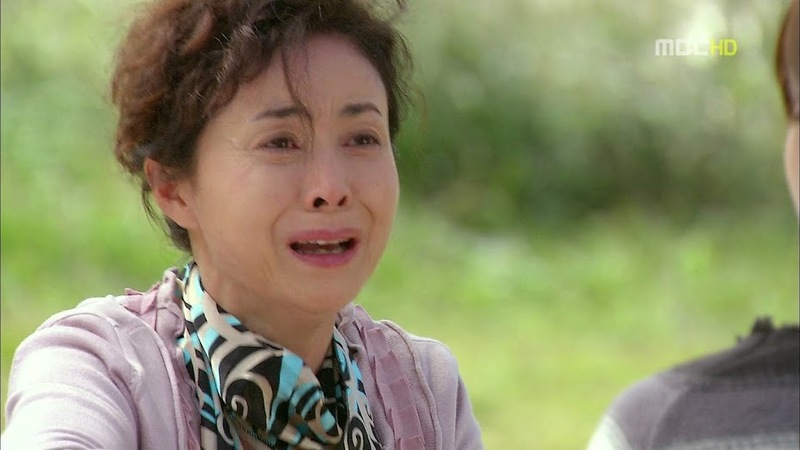 I know Hae Joo doesn’t want to be seen as the horrible woman who caused a son to abandon his father, but doesn’t she understand how Chang Hee has lived his entire life? 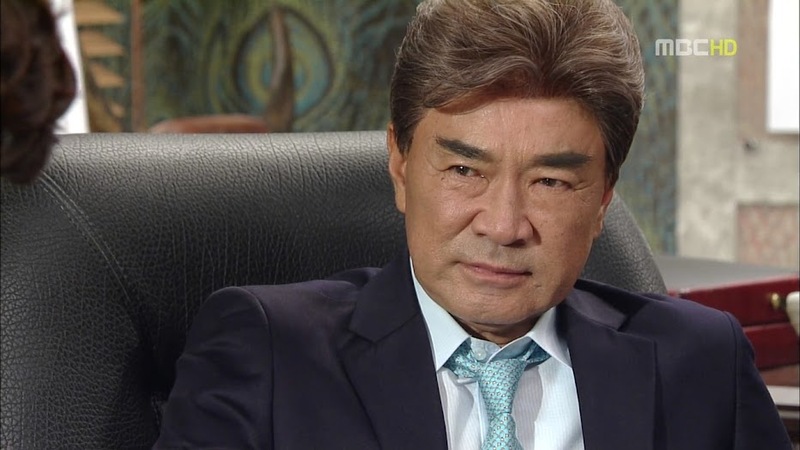 Gi Chul has basically been oppressing and abusing his son in a far different manner than Hae Joo was initially abused by Dal Soon. Hae Joo’s mother was openly against Hae Joo while Gi Chul has only heaped pain upon Chang Hee with his pressure for his son to succeed and take over the Jangs’ business. Gi Chul’s actions towards Hae Joo is even further proof of just how bad of a father he is, but Hae Joo stubbornly insists Chang Hee go back to his father. She even refuses elopement and Chang Hee’s assistance that if Hae Joo won’t leave a family she isn’t related to, then he will make sure to provide for them himself. (Okay, if Hae Joo was technically Hong Chul’s biological daughter, then that would make her related to all her siblings, just not her mother. That was quite dumb of Chang Hee to say.) Hae Joo whines about her pride and that Chang Hee doesn’t really understand her feelings on this. Yes, I say whine. I get where she comes from, but at the same time she is making a mountain out of a mole hill. It’s kind of like in Trouble with the Curve when Amy Adams can’t commit to her boyfriend’s plea for an exclusive relationship with thoughts of it leading to marriage. I think that as much as Hae Joo insists that she loves Chang Hee—she doesn’t love him enough. Hae Joo gets home and is immediately confronted by Dal Soon about Gi Chul’s abuse. Hae Joo denies this, but Young Joo admits that she heard it all. Even still, Hae Joo denies everything. What an idiot. 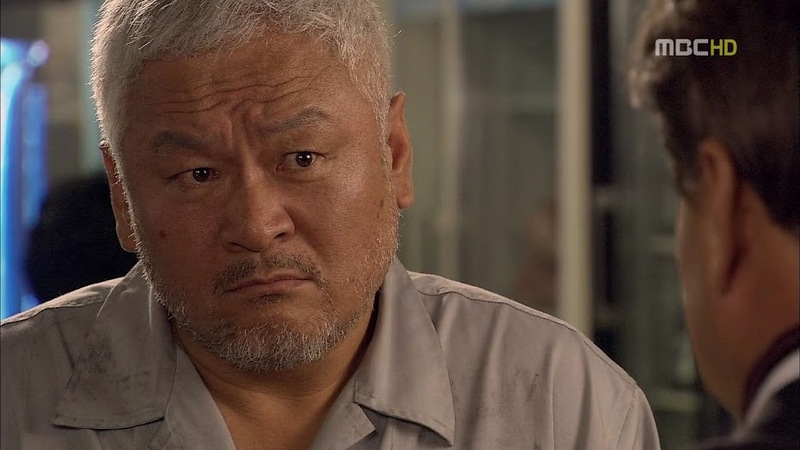 Her uncle is also not happy to learn what Gi Chul has done to his precious niece. The only thing Hae Joo can do when Dal Soon demands she break up with Chang Hee is cry (unconvincingly unfortunately—Kim Yoo Jung was a great crier, Han Ji Hye is just…meh) and say just how much she loves him. She loves him enough to suffer any pain Gi Chul can throw at her, but not enough to actually commit and marry him or even try to understand just what he himself is going through. She should have picked up on something being really wrong when Chang Hee said that if things continue, he might have to arrest his father—it’s not for his abuse but for something else. Sigh. Chang Hee checks himself into his hotel and we get a really awesome song [why don’t weekend/daily dramas release OSTs like regular-length dramas? It took forever to get Gloria’s, too] while we tortures himself. Kang San tries to work, but gets angry as he recalls Gi Chul’s actions towards Hae Joo and he stubborn insistence (which back them to me didn’t sound all that convincing) that she is happy. Hae Joo tries to shake off what happened and continue on with Jo’s unreasonable assignment. The tortured San goes out to meet his grandfather at the docks. He tells Kang that he wishes to build the most expensive ship in the world. Does Kang know what that is? Kang hesitatingly states a drill ship. San says he’s correct. He wishes to build what Jang is already building. Even with Jang’s Cheonji making the ship, the tower, propellers and thrusters still have to be imported. San’s dream is to make those pieces himself domestically. That is how Hae Poong will be rebuilt. At this time, Jang learns of Kang buying one of the propeller plants they contracted with. Jang’s secretary doesn’t think anything’s wrong with that, but Jang knows that this is really the lion getting ready to roar. Hae Joo goes and is shocked to see how little progress is actually being made on the production of certain parts of the ship. How can the progress be so slow? The man knows that they will be horribly delayed and behind schedule, but out of the 800 or so million won they were supposed to be getting, they are only see like 500. With that much less, they have to reduce manpower and other things in order to make the money stretch. 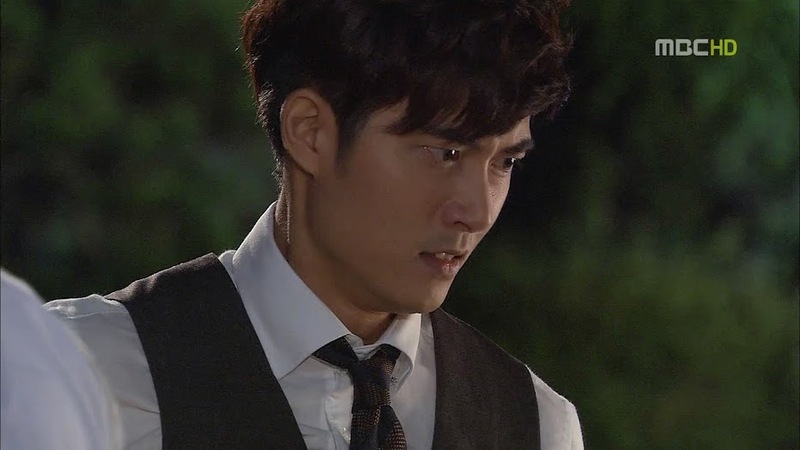 Hae Joo sees Il Moon about this and he is not happy that Hae Joo is meddling where she doesn’t belong. Ah. So this is what Jung Woo discovered and what Chang Hee hinted at. Looks like Il Moon’s been siphoning company funds. To what end? I don’t know, but it looks like Ms. Jo is in on it, too, because he immediately calls her in to talk. San is starting to dig into the reason behind Jang’s obsession with the drill ship and the oil business. He decides to ask Jang’s resident oil expert, Bong Hee. Apparently a little flattery goes a long way with her (this is probably because the girl is actually a relatively simple character and is kind of desperate to know she is regarded as a woman thanks to Jung Woo’s blindness). Bong Hee says that Il Moon’s dealings have been suspended for the time being as there was no real profit and she then says that Jang is sure there might be domestic oil. What makes Jang think there is oil in Korea? Bong Hee then brings up her death brother-in-law, Yoon Hak Soo.Slowly, bit-by-bit, this puzzle will all fall into place and what will the big reveal be in the end? Why? Well in CYHMH, our heroine’s first love was her stepbrother Maru, although the young rich kid she did meet was very important to her as well. In May Queen, Chang Hee was a boy that Hae Joo really liked first, although San did have a special place in her heart. In CYHMH, our heroine falls for the other man and wants her step-brother to be just that—her dependable older brother. In May Queen, we all know that Hae Joo’s going to go from her first love to the man she considers as a good friend whom she supposedly regards as a brother. Dal Soon goes to the imposing Jang house and barges into the Parks’ house. Gi Chul cannot believe this. Dal Soon points out that he has always done this at their house so she’s returning the favor. For hitting her precious daughter, Dal Soon head butts Gi Chul to the ground and even BITES him! I was chortling gleefully through this whole scene. Gi Chul just is completely stunned. How dare this ahjumma bite him? Dal Soon repays the insult by calling him an old man. LOL. She also says that her daughter is just as precious to her as Chang Hee is to him and she will not let Hae Joo marry into a house where she will be bullied and beaten. As Dal Soon leaves, she scatters salt all around. At this point Geum Hee comes out and invites her in. You know Dal Soon doesn’t wish to, but she does go in eventually. Geum Hee apologizes for what happened the last time they met. Dal Soon asks after the reason behind what Geum Hee said and is shocked to learn that Geum Hee’s daughter went missing at see under Gi Chul’s watch. I thought that Dal Soon had things pretty much figured out, but she didn’t. However, she does pretty much have a great clue now. Geum Hee then reveals that she knows of the children’s relationship and will do her best to talk to Gi Chul into allowing the two to marry. Geum Hee even offers to look after Hae Joo after she marries Chang Hee as she regards her almost as her own daughter thanks to Hae Joo’s similarities to Yoo Jin. Dal Soon balks at this and gets angry. Hae Joo is her daughter. 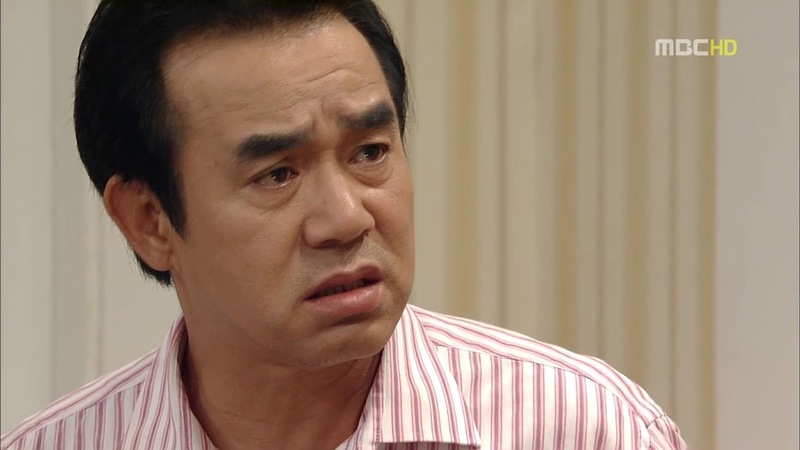 Besides that, Dal Soon will not let Hae Joo marry Chang Hee since Gi Chul is behaving as he is. Dal Soon bids the surprised woman goodbye saying they now have no reason to meet. Hae Joo gets to work where Jo immediately lights into her for showing up late even when Hae Joo was working in the field earlier. She then says Hae Joo has memory issues and asks about the report. In pops San who then asks for Jo’s assignment. Looks like she hasn’t completed her much less demanding one. I love how San sticks up for Hae Joo. It’s awesome. Enter Il Moon who asks to see San. 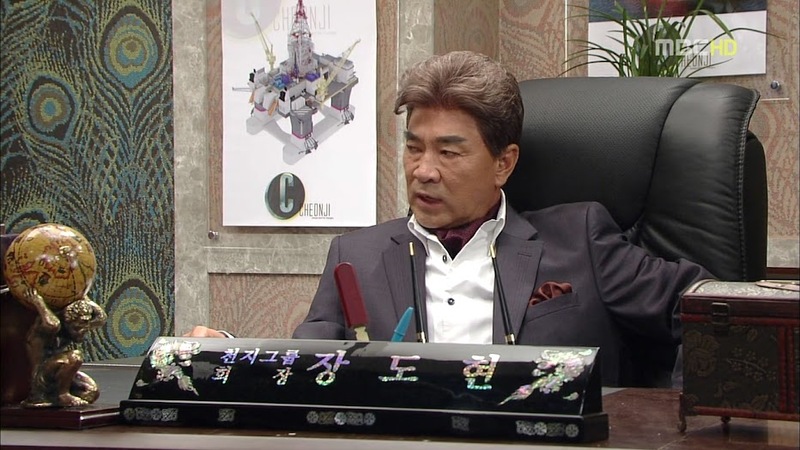 As soon as the settle down in Il Moon’s office he requests that San just use the Rolls Royce (or something like that) propeller instead of building one as Cheonji really doesn’t have the resources or cash to make it happen. San is surprised. Jang is saying one thing and Il Moon another. What to do? Il Moon plays the friendship card and asks that San keep this a secret from Jang. San smiles and does agree and in the next breath he refuses Il Moon’s “friendly” drink request and simply tells him not to bully weak employees *cough*HaeJoo*cough*. He leave and Il Moon smirks.Sigh. You do make certain things WAY to obvious San-ssi. Meanwhile, Jung Woo tells Prosecutor Choi to go forward with Il Moon’s investigation and they both keep this from Chang Hee. The Chun family is peeling garlic which makes Sang Tae very unhappy. Enter Chang Hee with a gift for he family. This time Dal Soon does not welcome him with open arms. She tells him that she will never let her precious daughter marry into such a household. She also upbraids him for being an impotent man who cannot protect his woman (very true unfortunately—equally unfortunate is that Gi Chul will stop at nothing to make Hae Joo suffer because of Chang Hee). Chang Hee tries to talk to her, but she throws the garlic peels at him and yells at him to get out. 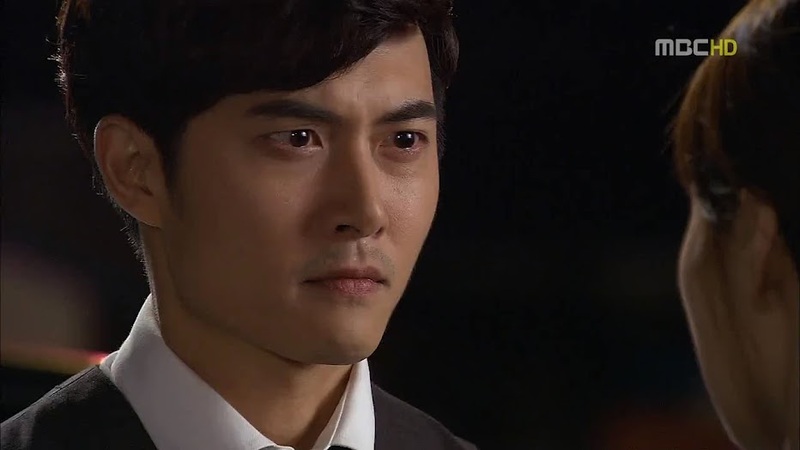 Sang Tae takes Chang Hee out and brushes him off. He then hits him up for money saying that he will support their relationship. What an opportunist. I really hope that Chang Hee doesn’t give him any. Boy would Hae Joo be livid if she found out (we all know Sang Tae would probably waste it anyways). As the depressed Chang Hee leaves, he tries calling Hae Joo who does not pick up. Is the girl purposely avoiding his calls? Nope, she’s learning design from San. The two are just so adorable together. I like their deep bond expressed by their easy camaraderie. This is something that is lacking in all of her scenes with Chang Hee. How can a couple who’ve been together for 15 years still have such an awkward relationship when the friends who’ve been apart for 15 years have such a great rapport and no real awkwardness (accept when San’s feelings come up every now and then)? Anywho, San praises Hae Joo for knowing so much and picking things up quickly. She goes to take a nap and San offers his bed where they can sleep together (LOL—our mischievous San). Hae Joo tells him to go sleep on it and he then says the least she can do is sleep on the coach. Hae Joo does and is soon out like a light after making San promise to wake her in half an hour. While she sleeps, San does her assignment for her. Such dedication and love! At the Jang house, Geum Hee confesses that she told Do Hyeon about In Hwa’s feelings for San. In Hwa is shocked. How could her mother do such a thing? Even more surprising is that Jang was actually okay with the relationship. This makes In Hwa happy. Looks like her dad’s pretty awesome after all. Geum Hee then asks to meet with San. I wonder how this meeting will play out? At the same time, Jang meets with Kang to propose a marriage between their families so that any petty thoughts of revenge are tossed aside as San is an asset Jang wants. Kang laughs and says that Jang will even go as low as using his daughter for business. Jang said that his daughter is precious to him and San isn’t a bad guy, so it’s not just business. Besides, he’d never do what Kang did. Say what? So this sore subject and San’s parents’ death wasn’t Jang’s doing, but possibly Kang’s? I’m even more curious now as to what rumors Jang is talking about and how that led to the Kang family tragedy. But I guess this would really explain Kang’s reluctance to talk about San’s parents to his grandson. Okay. So….why all the enmity between Kang and Jang, then? San finishes his work and goes to watch Hae Joo sleep. “Do you know why I fell in love with you at first sight? It’s because you’re a welder.” He then goes to brusher her hair off of her face, but she stirs and he quickly bolts across the room into the kitchen and pours a drink for our sleeping beauty. Hae Joo tiredly asks what time it is and he replies 11:30. Hae Joo panics. She needs to go home. She is surprised to see that her report is all done. San smiles and says he was brushing up on his rusty English. He then insists that he will take her home as it is the proper thing to do and he is a gentleman with manners. Snort. San…is just so precious. He drops her off near her home and leaves. Enter Chang Hee who has been waiting for her. Was she with San all of this time? Yes, she’s learning design from him—doesn’t Chang Hee remember? Why didn’t she answer his calls? Oops. Her phone was on vibrate. He does reveal that he still isn’t back at his house yet and this makes Hae Joo unhappy. Poor Chang Hee can’t take it anymore and breaks down. He hugs Hae Joo to him and she gently pats his back. 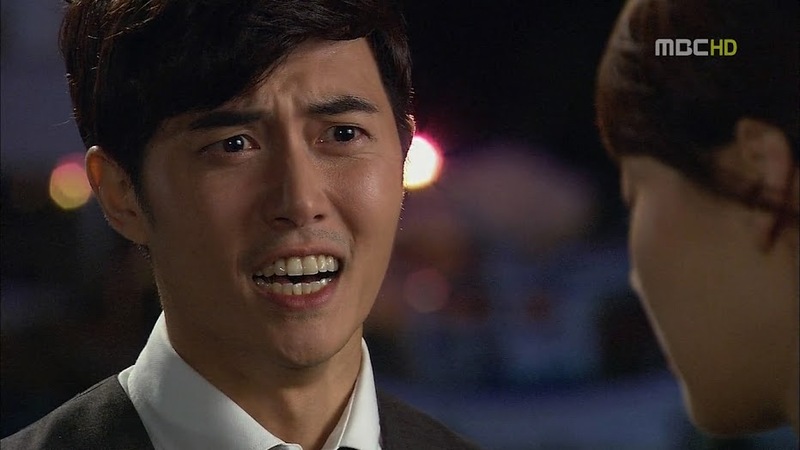 Well…she did wonder if they shouldn’t break up because of Gi Chul’s dislike and Chang Hee’s pain. This scene? Um…smacks of a mother comforting a child—not of two lovers. Just saying. San sees that Hae Joo forgot something in the car and turns around to deliver it. He sees the two embracing and screeches off. Hae Joo gets home and immediately starts drinking. The girl is a closet alcoholic, I swear. Dal Soon comes out and insists she break things off with Chang Hee. Hae Joo cries and wonders if that is seriously what she should do. Dal Soon hugs her crying daughter. Oh. This is after a rant from Hae Joo about how unfair life is. She blames her father, her lack of education, etc. If only she had gone to school, then she’d be good enough for Chang Hee. I hate this scene so much I don’t know where to begin. It really boils down to Hae Joo thinking she’s worthless because of her hard life. Actually, her hard life is what has given her her worth. Why can’t she understand that? 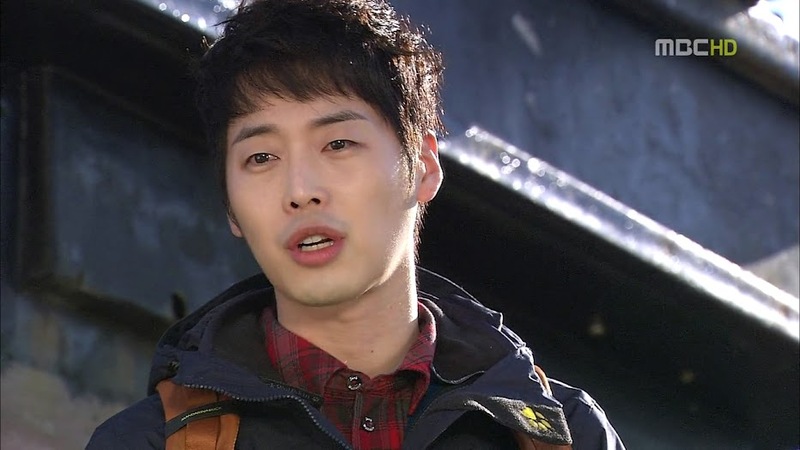 The next day Chang Hee is looking into Hong Chul’s death when he gets a call from Jang. Chang Hee rushes to his office to find Choi leaving it. Jang then throws down the report and says that Chang Hee must stop Jung Woo from trying to investigate and arrest Il Moon. Chang Hee is shocked—he had no idea what Jung Woo was doing. Meanwhile, In Hwa meets a Kang San who is drinking in the middle of the day. He tells her he’s been drinking since last night. In Hwa is shocked. He does ask her to marry him offhand which offends her. She then asks him to come to a show with her next Sunday. What a complicated quartet we have. Can’t In Hwa tell that San is obviously obsessed and hurting over another girl that isn’t her? Or is she just so confident that by sticking to him all of these years he will finally notice her and love her? At Cheonji, there is a meeting and Hae Joo points out the paperwork is wrong. The propellers and thrusters aren’t matching up. This earns her Jo and Il Moon’s scorn (because they are trying to cover something up). Hae Joo is kicked out of the meeting and Il Moon later tells Jo to make sure Hae Joo is never allowed to sit in on a meeting again. Meanwhile the drunk San shows up to work at last and calls her “Tinker.” She scolds him for calling her that at work and he then asks her what’s wrong. When Hae Joo points out the snafu and her catch and how something seems off, San immediately tries to sober up. There’s no way his propeller-obsessed disciple would get her propellers wrong, so just what is Il Moon up to? Oh, and Hae Joo also explained about the contractors complaining about the lack of money they are getting. San’s got an interesting tidbit and you know he’s working out what to do with it. Chang Hee goes to Jung Woo and yells at him for what he did. Not because he disagrees with Jung Woo going after Jang, but because Jung Woo trusted Choi who is actually Jang’s spy. Chang Hee then says why go after the small fish (Il Moon) when it’s Jang they should be going after. 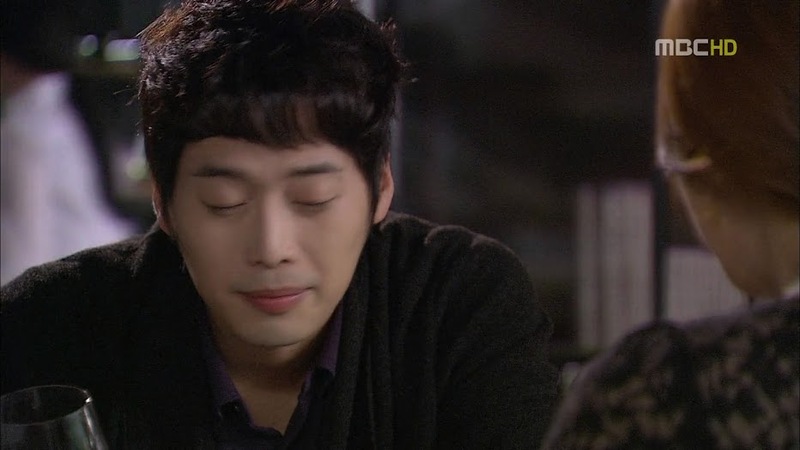 Chang Hee then asks Jung Woo to go after him together. Say what? This is actually…unexpected for me. 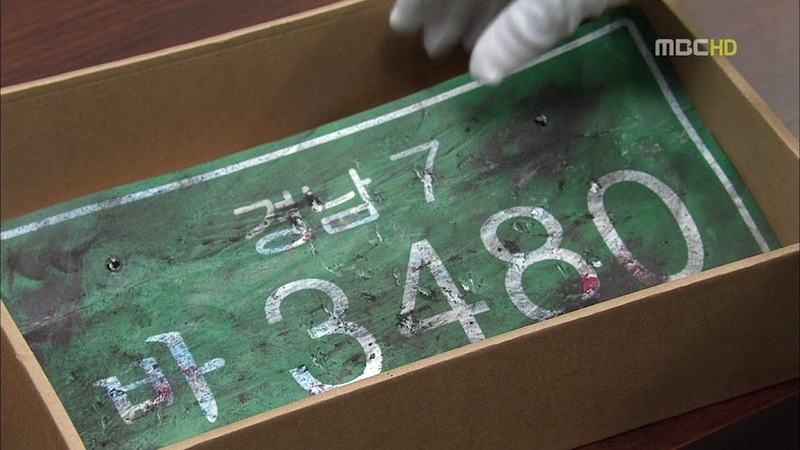 At this time, Jang’s secretary brings in the bloody license plate from Hong Chul’s accident. Apparently the statute of limitations isn’t quite up on that murder. What will Jang do with this evidence against Gi Chul? Is this is guarantee that Park family won’t bite the hand that feeds them? 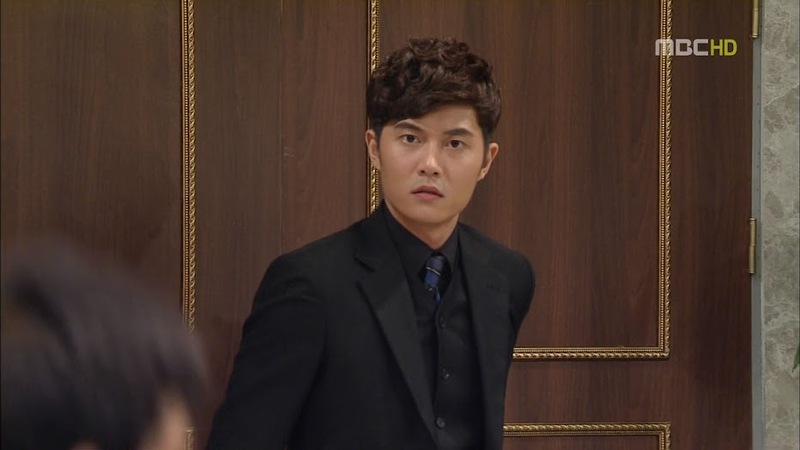 Dal Soon shows up at work to see Jo bawling Hae Joo out for her audacity and her lack of education. Hae Joo stands up for herself. She isn’t stupid. She did attend high school, she just didn’t get her diploma. Dal Soon then breaks in and the two go out for a picnic. Dal Soon watches her daughter eat and lets Hae Joo feed her. She then tears up as this is really the first time she made her daughter lunch. She comments on this and Hae Joo said that only making Sang Tae lunch made sense given their limited resources. Besides, she was full every day stealing food from friends. This makes Dal Soon cry and she tells Hae Joo that she is really sorry for all that she did in the past. She knew what Hae Joo was doing for the family and purposely ignored it all. How unlucky Hae Joo is to have such a mother in her life. I do feel badly here since Dal Soon is blaming all of Hae Joo’s miserable life on herself—that isn’t completely true. Dal Soon then reveals she isn’t Hae Joo’s birth mother and the episode ends. I only hope that Dal Soon’s painful regret won’t make her end up like Hong Chul. I really do. I am a bit disappointed that they changed Hae Joo’s character so drastically, but then again, after 15 years on top of the previous 13…maybe that just wore her down, but it’s disappointing that you can’t really see the spunky Hae Joo all that often anymore. But yes, the writers do give us hope, plus we can see the normal Hae Joo whenever she’s with San. Yeah HJH is giving an inconsistent portrayal. Sometimes she shines and other times…falls flat, but not to the point to make the drama unenjoyable or unwatchable. I haven’t gotten past the children’s episodes yet in METS (though I think I’m almost there), so I will take your word on that. I have heard other people complain about the transition and how the adults didn’t necessarily live up to the children’s roles. As for Hae Joo ending up with San, if you believe the relationship charts and all the stuff they’ve posted, Chang Hee and In Hwa get married and Hae Joo is supposed to end up with San. I truly hope she does because while I do like Chang Hee and feel sorry for him, he’s just not quite the right fit for Hae Joo. Agreed. I really want San and Hae Joo to end up together. 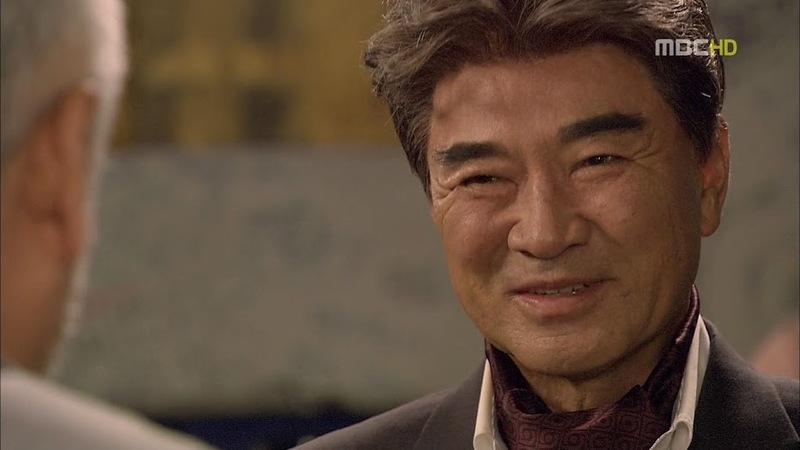 I hate Chang Hee as he is sick to the bone to watch. Anyway, thank you so much Neenee for this fantastic recap. Dal Soon’s becoming a much better mom than I thought. Every K-drama I’ve seen with a stepmom has her being evil to her stepchild. Although she was mean at first, it’s refreshing to see her character turn around so relatively early (middle) in the drama. I know. I was happy to see the evil stepmother overcome her dislike of Hae Joo due to Hong Chul’s unfortunate lie. I really love seeing her do her best to do right by her daughter after all these years.